The Springfield Jr. Blues will host the first set of pre-season games this weekend, Friday, September 7th and Saturday, September 8th. The games will take place at The Nelson Center in Springfield, Illinois against the Mudbugs. The final home pre-game will be on Saturday, September 15th against the University of Iowa. The Mudbugs won the Robertson Cup last year against the Minot Minotauros. This past weekend, Springfield traveled to Shreveport to be hosted by the Mudbugs but were swept in a two-game series. The doors open on Friday at 6:05 for a 7:05 puck drop. Saturday the doors open at 5:05 for a 6:05 puck drop. Doors will open on Saturday the 15th at 5:05 for a 6:05 puck drop. Tickets can be picked up at The Nelson Center until 9/6. Tickets can also be purchased for just $5.00 at the door either night! Today the NAHL has officially released the 2018-19 schedule for your Springfield Jr. Blues! See the Springfield Jr. Blues schedule HERE! The North American Hockey League (NAHL) has announced the release of the 2018-19 regular season schedule. 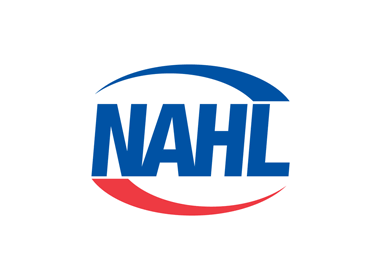 Celebrating its 44th season in 2018-19, the NAHL is the oldest and largest junior hockey league of its kind in the United States and one of only two USA Hockey-certified leagues that operate under the non pay-to-play model. The NAHL is also one of the best at advancing players to NCAA and professional hockey. The NAHL is on the cusp of setting yet another new single-season NCAA commitments record. With 305 commitments to date, the league has equaled its record-breaking total of NCAA commitments set last season. That also includes 221 NCAA Division I commitments this past season, which is a new all-time record. The league also saw nine players with NAHL experience selected in the 2018 NHL Draft held last week in Dallas, Texas. Each of the 24 teams in the league’s four divisions (Central, East, Midwest and South) will play 60 regular season games. The regular season will commence on September 13, 2018 and end on April 7, 2019. The 16th annual NAHL Showcase Tournament will be held from September 19-22, 2018 at the Schwan Super Rink in Blaine, Minnesota. All 24 NAHL teams will play four regular-season games at the Showcase, which is one of hockey’s most prominent and popular events of the entire season. For scouting purposes, the event is a yearly gathering for every NCAA program and NHL team as they get their first look at some of the best and brightest hockey talent North America has to offer. A showcase schedule will be announced on a future date. The 2019 NAHL Top Prospects Tournament will be held from February 18-19, 2019 at the USA Hockey Arena in Plymouth, Michigan. A schedule and format will be announced on a future date. The 2019 Robertson Cup Championship, which crowns the NAHL’s playoff champion and USA Hockey’s Tier II Junior National Champion, will be held from May 10-13, 2019 at a neutral site and will feature the four NAHL Divisional Playoff Champions. A location for the event has yet to be determined. In all, nine players that play or have previously played in the NAHL were taken in the draft. It is the most players taken with NAHL experience since the 2010 NHL Draft when the NAHL had 16 players with NAHL experience selected, which included those from the NTDP team when they were members of the league until 2009. Your Springfield Jr. Blues wrapped up a one game home stand against Kenai River with a win last Saturday. This Friday night will be Mardi Gras Night at the Nelson Center, followed by our Valentine’s game on Saturday night. Nick Bowman – This Coulee Region forward has 16 goals this season, including 7 power play goals and 10 power play assists. He works hard on the one-man advantage. Springfield will look to limit their penalties and keep an eye on Coulee’s special teams. Brandon Koch – This d-man may not find the back of the net often, but he has a whopping 26 assists so far this season. Springfield will have to work to limit his offensive chances. Emil Zetterquist – The goalie has played 1524 minutes this season and holds a record of 9-10-2-4. His save percentage is 0.925. Jeff Skinner – The Springfield forward has totaled 33 points this season, pretty evenly split between goals and assists. He will look to continue his offensive contributions this weekend! Jordan Muzzillo – This blue liner has 22 points this season, and will look to continue his impressive two way play this weekend against the Coulee Region! Evan Fear – the net-minder has played 985 minutes this season, and sports a record of 8-7-2-0. He will look to stay sharp against Coulee Region!